We offer Professional Architectural Design Services all these services are rendered in accordance with prevailing industry standards and set norms. Further, with the help of our experienced team we are able to offer innovative designs as per the specific requirements and demand of our clients. - Architectural planning, designing, execution & management. Our firm has made unbelievable breakthrough in the providing Home Architectural 3D Design. Attributed for its flexibility and reliability, these services are broadly demanded. More to this, we deliver these to our clients after understanding their budgetary requisites. Clients can acquire these services at most affordable rates. 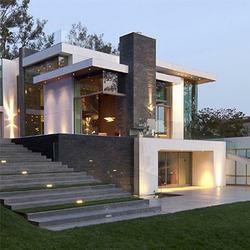 Architectural Design is about planning, designing and constructing buildings and other physical structures. Architectural designers create functional and practical spaces in urban and rural settings using many different materials. We are involved in rendering a wide range of designing services that includes Modern Architectural Rendering. Our company is backed by the dedicated and skilled professionals, who plans and execute all interior designing works exactly as per the client’s needs. We offer Architectural Sanctioning Services for NMMC. Advisory services are commissioned by the clients or developers in which ILED undertakes a survey, technival analyses, risk evaluation, planning & feasibiliity of the project. ILED having core strength in Agro Horticultures, Farms Developments, Open Field Floricultures, Thematic Gardens & Parks. 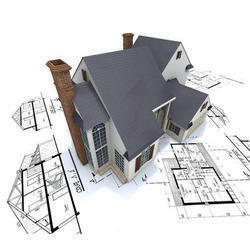 - Architectural consultancy for the work of construction of Main T.E. Building at Andheri M.T.N.L.